Drawing is a great way to develop pencil control skills. 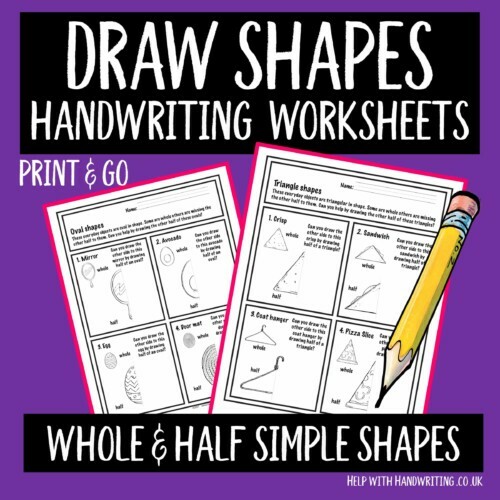 If a child is a reluctant writer then these worksheets will help them develop important handwriting skills without them needing to do any writing. This resource is designed to help children understand the difference between whole and half shapes. There are 6 activity worksheets, giving 24 opportunities to draw a combination of different shapes.